Will the NHL ever have women officiating games? One former league referee thinks so. But while plenty of work and obstacles remain, the idea may not be that far-fetched. As soon as the verbally abusive hockey coach stepped foot on the ice, it was Cianna Lieffers' cue to put an end to her officiating career after one season at age 12. "I don't need to get paid $30 to get yelled at for two hours," Lieffers, now 24, recalled of working the game as part of an atom or peewee tournament in her hometown of Cudworth, Sask. Lieffers took a year off but her mom, Zoria, urged her to return. "She knew I was strong-minded, had a lot of drive and a competitive side," said Lieffers. "She told me 'this is something you're going to be good at … give it another shot.'" Undeterred, Lieffers began officiating midget A boys' games in high school, and within her first year was working midget triple-A and Junior B contests. This season is her fourth as a linesman in the Saskatchewan Junior Hockey League and first as a referee. "I'm happy I came back," she said in an interview with CBC Sports. "You just develop a tough skin. Learning how to manage [the abuse from coaches and fans] is a big thing and one of the strides I've made." The fear of being abused is one of the main reasons women, including those who have played the game and have a desire to officiate, continue to stay away, though the numbers across North America are slowly on the rise. "There are so many opportunities for females, nationally and internationally," Lieffers said, "and you just have to keep working for them." Todd Anderson, Hockey Canada's senior manager of officiating, reported "a little growth" of registered female officials, thanks to the popularity of the women's game. Last season, there were 31,000 registered officials across Canada, including 2,024 women. Registered officials in the U.S. While Lieffers and other female referees in Canada and the United States appear on track to potentially break a gender barrier in the NHL one day should an opportunity be offered, some believe plenty of work and obstacles remain at the lower levels to attract newcomers to the ranks. Last month, Erica Holmes and Cassandra Gregory said they felt stonewalled in a bid to referee in the Alberta Junior Hockey League because of their gender. But the Saskatchewan Hockey Association, according to Lieffers, boasts new female officials "with great potential" and began "coaching" its referees and linesman over the past two years to further their development. "We have an elite official at every game to help from the stands," she said. "A lot of the young officials find comfort in having that backup [official on-site] when they don't [yet] know how to deal with conflict. We also act as a mentor and suggest what they could have done at certain times in the game." Katie Guay is the only female referee in NCAA Division I men's hockey this season and believes women should officiate junior boys' hockey, working their way up the ranks with the players. She suggested females in the United States must be given a chance to work the under-14 or under-16 levels to "provide those officials the confidence and desire" to continue to improve while overseeing men's hockey. 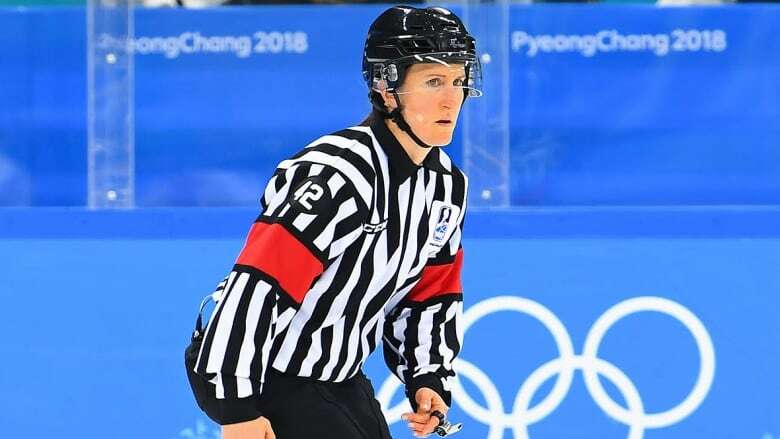 "You need to prepare them and I'm not sure [referee] assigners at lower levels are opening doors and opportunities," said Guay, 36, who realized an eight-year dream last February when she refereed women's games at the Olympics in Pyeongchang, South Korea. In recent years, Guay has worked men's college games at Madison Square Garden in New York and a women's game at Boston's Fenway Park as part of the 2010 NHL Winter Classic to raise her profile since there are no opportunities to officiate full-time on the women's side. 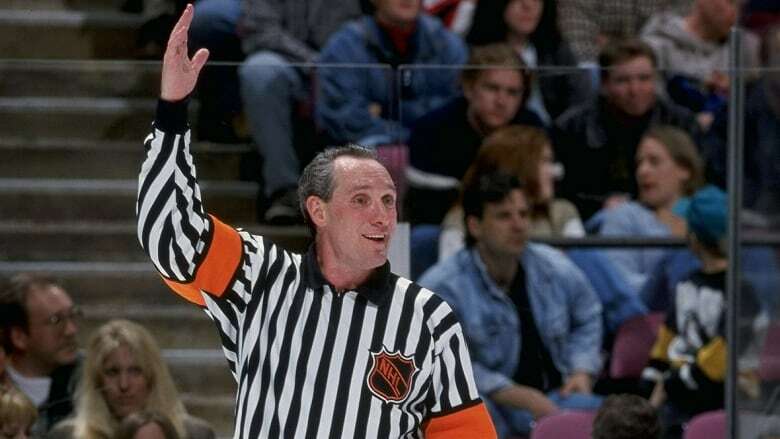 Retired NHL referee Paul Stewart would like women to follow in his footsteps by officiating in the league. "I want to see someone break that glass ceiling," said Stewart, now director of officiating for Eastern College Athletic Conference hockey in the NCAA. "It doesn't take an X or Y chromosome to put your arm in the air and call a penalty. It only takes brains and guts." 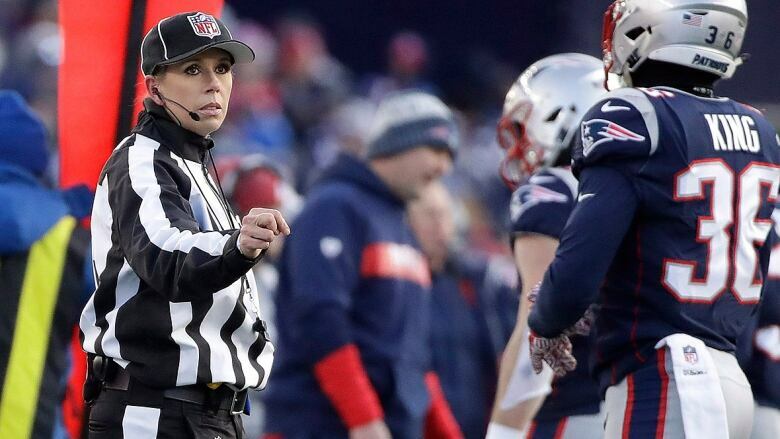 The NBA has had female officials since 1998 and the NFL followed in 2015 with the hiring of Sarah Thomas, its first full-time official who became the first woman to officiate an NFL playoff game last month. Heather McDaniel worked minor pro games in the Central Hockey League and West Coast Hockey League in 1995 but quit four years later to start a family. On Nov. 21, 2014, Erin Blair and Guay officiated a Southern Professional Hockey League contest in Columbus, Ohio. Not only is there an economic benefit to entering the profession, stated the 65-year-old Stewart, "but there's a whole culture in officiating of friendship, travel, education and excitement. Try it, you'll like it. "We need to have some success with one [female referee] and that'll be the beacon that will inspire others." Retired player Hayley Wickenheiser, who won four Olympic gold medals with the Canadian women's team and appeared in a combined 65 men's professional games in Europe, said having elite officials in the women's game should be a top priority. "I didn't come across too many in my [33-year] career," she said during a recent appearance on the Hockey Night In Canada podcast. "Officiating has always been the weakest part of the women's game. "It would be great to see [female officials] in the NHL but let's also work on great officiating in the women's game." Including Lieffers, there were 10 registered Level 5 female referees in Canada last season, the highest level of certification a woman official can obtain. It allows them to work major junior (Western Hockey League and Junior A games), senior and U-Sports (university) games, both regular season and playoffs. 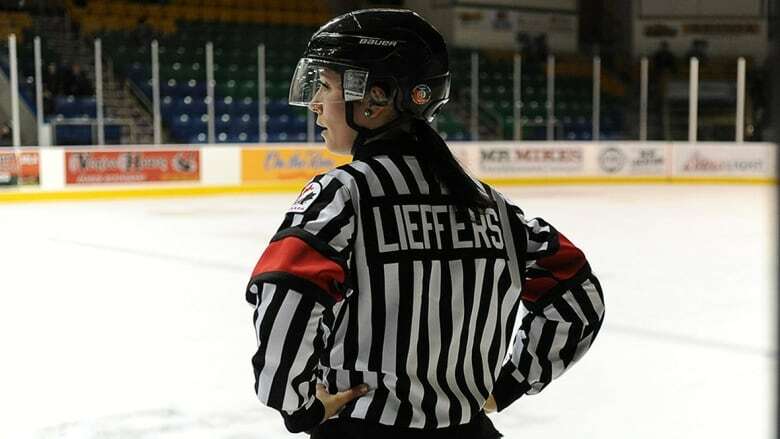 Lieffers has officiated at four international tournaments, including the Four Nations Cup hosted by Saskatoon two months ago and more recently the IIHF women's under-18 world championship in Dumfries, Scotland. 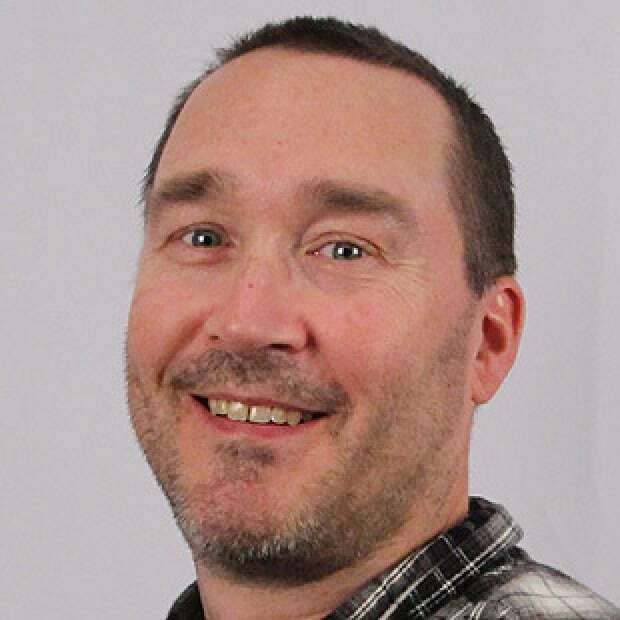 "When setting goals the Olympics were more realistic [than the NHL] but I would be lying if I said I haven't thought of it," said the high school physical education and history teacher in Saskatoon. Male referees can earn up to Level 6, allowing them to officiate national championship games (i.e. Memorial Cup) and designated International Ice Hockey Federation games, including the Olympics and world junior hockey championship. The level system, Anderson stressed, is not about an official being male or female but rather driven on the calibre of play and competency. "The gender is one thing," he said, "but it's more of the recognition of the type of official that he or she is and that they're recognized for their hard work and commitment to being one of the best in their field." 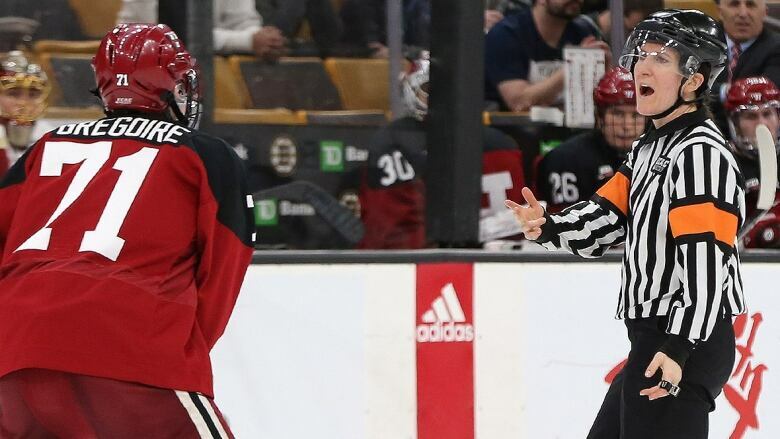 On Monday, Guay was the first female to referee the men's Beanpot in its 67-year history when she oversaw the Boston College/Harvard matchup at the prestigious Boston hockey tournament. The native of Mansfield, Mass., took the ice the next day for the women's Beanpot and will also be part of an all-women's officiating crew for the women's championship game on Feb. 12. Stewart, who refereed 1,010 NHL regular-season games and was inducted into the U.S. Hockey Hall of Fame in December, believes Guay can skate at an NHL/American league level and could handle the traffic of an NHL game in a year or two. "Can she handle the pressure?" he asked. "Is she strong enough [to break up scrums and fights]? Players in pro hockey tend to me a little bigger [than college players] but I don't necessarily think they're faster. "There also has to be acceptance of her for her ability to officiate versus being female. Her fellow officials have to accept her because she can do the job, and she'll have to prove that to them." Guay is confident females will referee in the NHL during her lifetime but didn't say it was her intention. "I feel the game has given me so much and now my goal is to give back and help younger officials reach their goals and open their eyes to the great opportunities officiating allows," said Guay, who recently earned a wild-card spot to compete in an ice cross downhill Crashed Ice event this weekend at Fenway Park. 15 university players, 2 head coaches suspended from brawl in N.S.